Aboriginal cooks and chefs weigh in on the native ingredients made popular by famous restaurants in Australia. Written for Fine Dining Lovers, 1 June 2017. 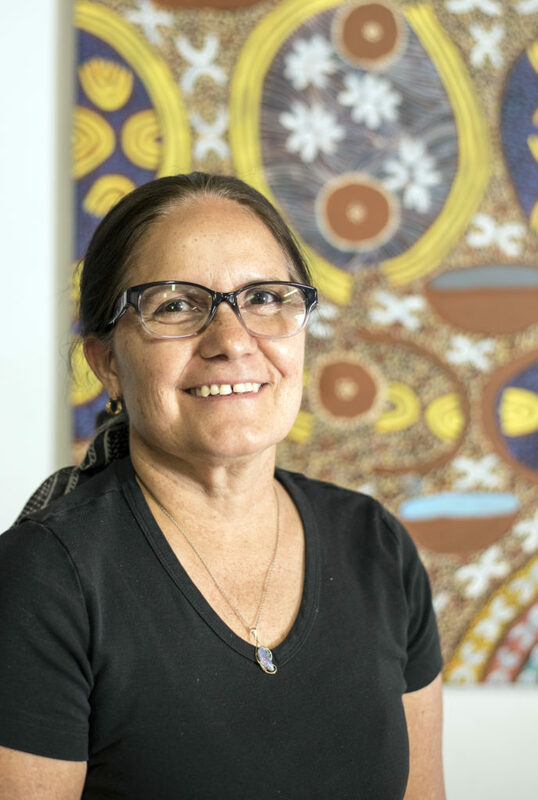 At Kungas Can Cook, a café in Alice Springs serving food like burgers, salads, ice teas, pies and brownies, Aboriginal owner Rayleen Brown has made it her lifework to showcase indigenous ingredients. 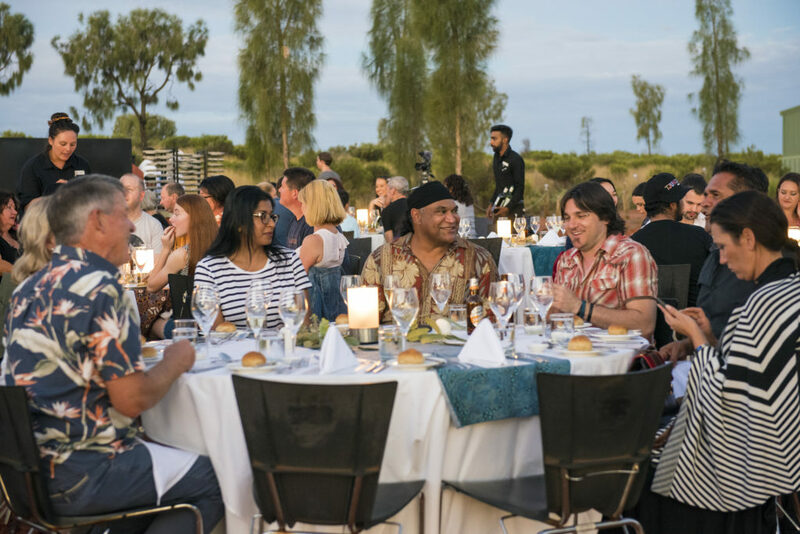 In the evenings she hosts groups for a gourmet dinner that starts with a large platter of “bush tucker” – native Australian ingredients that Aboriginal and Torres Strait Islanders have been using for generations. “The plants have stories, we were taught the stories when we were young. It’s tied in with The Creation, our dreamtime stories,” Rayleen explains. Rayleen’s café is stocked with home-made bush tomato relish, Quangdong jam, bush tucker muesli, dukkah, pepperberries and ground wattleseed, that though very expensive, can be used to make coffee or desserts. In her kitchen, she grinds the wattle seeds in nothing more than a spice grinder – a laborious and exacting task. Ben Shewry serves kangaroo with wattle seeds at Attica in Melbourne, you’ll find chicken liver parfait with wattle seeds at Jock Zonfrillo’s Orana in Adelaide and at Wildflower in Perth, a wattleseed cream is served with the whipped chocolate dessert. 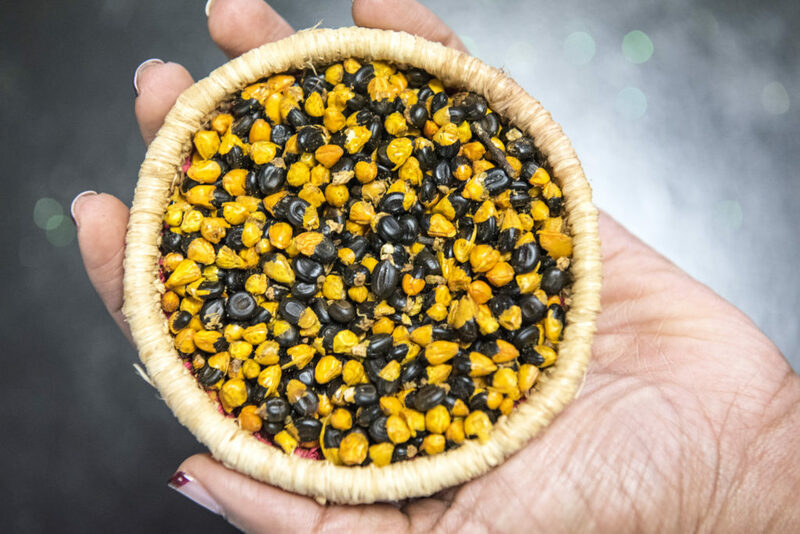 Indigenous ingredients are the stars on many famous Australian restaurant menus and yet the Aboriginal cooks who first used them and continue to do so, receive little recognition. Fast forward twenty years and there are small farms and growers like Mike and Gayle Quarmby of Outback Pride Fresh who supply restaurants across the country. Few people know about the Aboriginal women in the desert, for example, who harvest the natural herbs and bush tomatoes though, often getting paid a pittance, Rayleen explains during a bush walk. 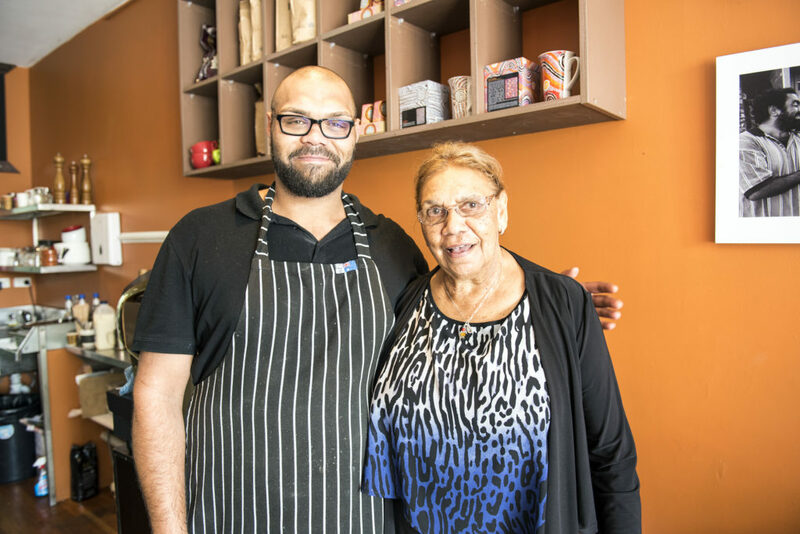 Aunty Beryl Van-Oploo, an Aboriginal elder and lecturer co-owns Biri Biri Café in Redfern, Sydney, a suburb of historical significance to the Aboriginal community. At the local cooking school at the National Centre for Indigenous Excellence, and at 75-years of age, she continues to work with Aboriginal youth – those deemed to have little future in the mainstream system. Many of the students, like Keith Quayle, work at the café, to gain valuable experience before they leave to the hospitality and tourism industry across Australia. This is the goal, Aunty Beryl says, to equip these young people with skills to create a successful career in hospitality. Biri Biri Café, like her previous restaurant Garden Lodge Café in Victoria Park, serves bush tucker. “Bush tucker is everything that grows here naturally, indigenous to the land,” says Aunty Beryl. “What people don’t know is that most of the foods we use have medicinal properties. Take the lemon myrtle – that’s for a sore throat.” She calls finger lime “Aboriginal caviar”.